Фотобанк Rusmediabank – лицензионные Фото, Видео, Музыка - Portrait of an attractive girl with electric guitar. Rock music. 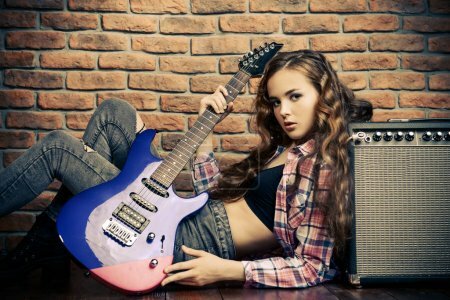 Portrait of an attractive girl with electric guitar. Rock music. XL 5200 x 3470px 15 Mb.